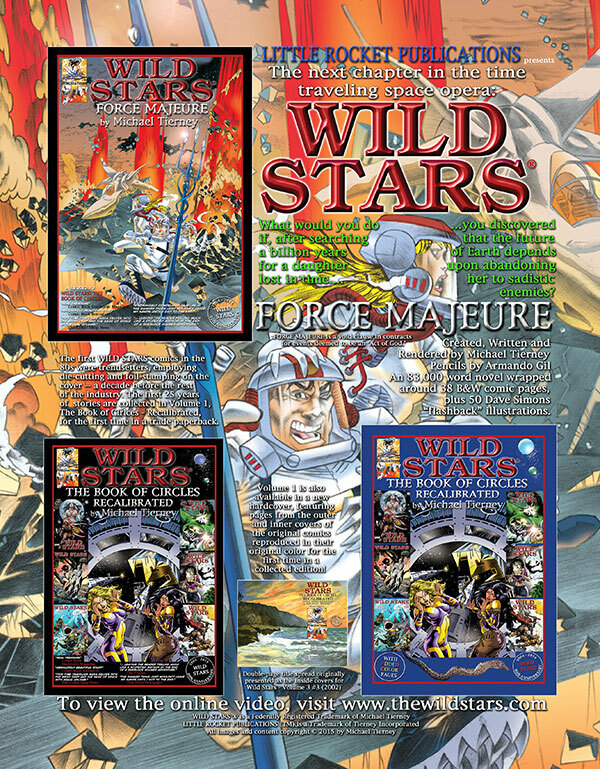 Click here or the image above or below for a Preview of Wild Stars II: Force Majeure. Ask your local comics retailer to order a copy today! To buy on Amazon, click any of the images above or these links to buy either the hardcover, or the Wild Stars: The Book of Circles -- Recalibrated trade paperback or Wild Stars 2: Force Majeure. or Worldwide on Amazon.com (click this link). Haven't had enough Wild Stars?